Google+ pages for business are a mere 48 hours old, and Christian Ashlock from Google was at PubCon Las Vegas 2011 to answer some of the many questions we already all have. How does Google+ work with +1 buttons? How do you ensure that your Google+ page doesn’t get stolen by some squatter? How can I connect my website to my Google+ page? For users: the key advantage is that it makes search results more meaningful. If I’m logged into my Google account, I will see search results that are prioritized based on what my friends recommend (or +1) – thereby serving me more meaningful results. Can a business page only have one administrator? As of today, yes. This is something that the engineering team is working on changing in the near future. Is there a limit to the number of pages one user can create? Yes – currently that limit is 20. How does Google ensure that nobody creates a fake brand page for me? After you create your Google+ page, you can connect it to your website to prove that it’s the official page. Connect by using the code in the get started page and adding it to your website. 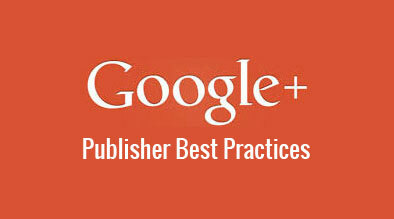 How will Google+ integrate with display ads and adsense? ads will show a +1 button so people can endorse it. 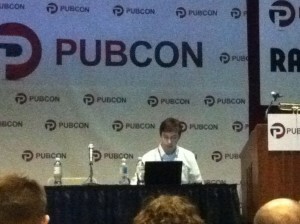 Publishers or advertisers can opt out of this if they want. Currently this is just an annotation in targeting and does not currently affect pricing. Since it’s early days, this might change. Will there be a direct connection between Google Places and Google Plus? Currently there is no connection, but this is something the Google engineers are looking into. It is very exciting that Google is finally allowing brands to have a space on Google+. This platform is very much in its infancy. I had several more questions for Christian that he will be following up on for me later, so stay tuned for a lot more Google+ information over the upcoming weeks as we begin testing it for Milestone’s clients.